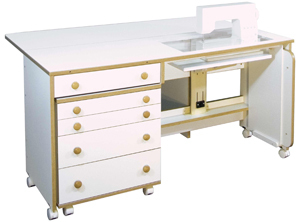 It's Time to Create the Sewing Room of Your Dreams - and SAVE! Summer is semi-officially over. 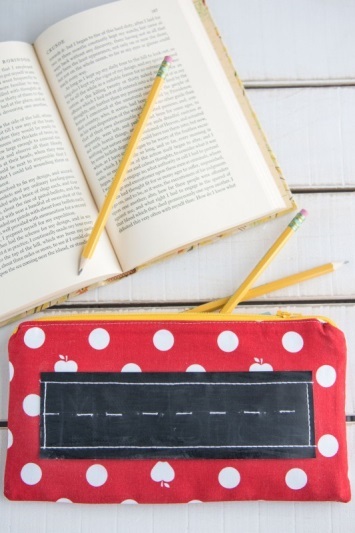 Kids are back in school. Gardens are starting to wind down. Visiting relatives have gone home. Finally . 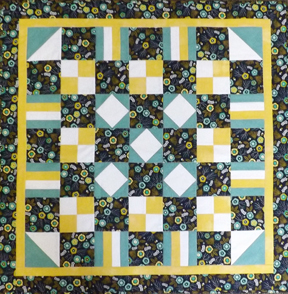 . . time to get back to sewing and quilting. Having a pleasing, functional space to express creativity makes any hobby/craft/art more fun and the maker more productive. 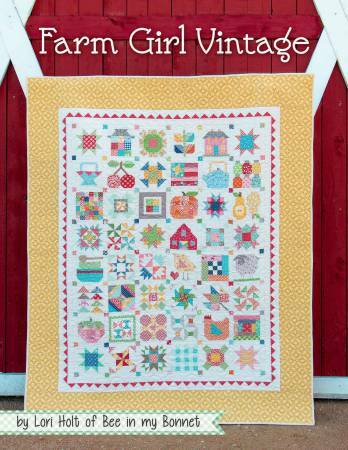 Cortez Quilt Company is here to help you create the sewing room of your dreams. From September 8-19 only we're offering the entire line of Horn of American sewing room furniture at 25% off. We have the the three pieces shown here on display at the shop. 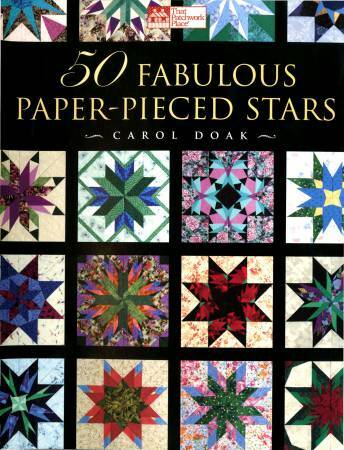 We also have a catalog detailing many other models. 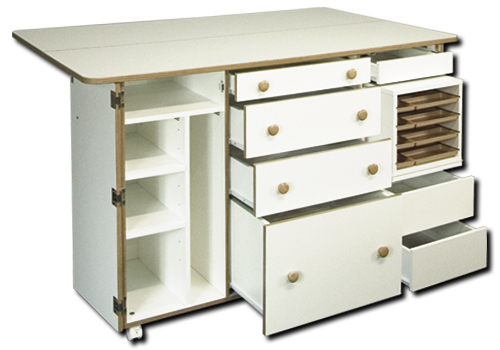 Horn sewing room furniture is made in America and delivered right to your door. 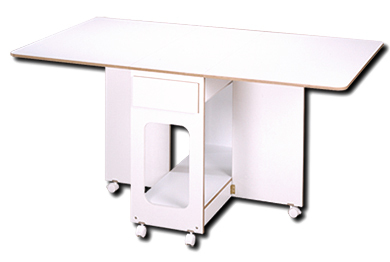 The acrylic inserts in the sewing tables are custom cut for your machine. 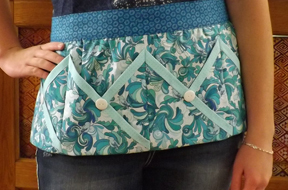 Sewing on a perfectly flat surface is so nice! Don't miss out on this special offer. We will not have Horn of America furniture on sale again until 2016. It's that time of year again . 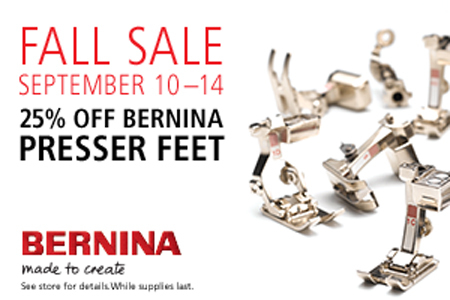 . . 25% off BERNINA presser feet! September 10-14 only. Make your list and come on in to pick up or order the feet you've been dreaming about. And, yes, the BERNINA Stitch Regulator (BSR) is included in this 25% off deal. 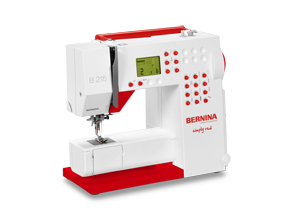 The other special deal for this same time period is the BERNINA 215 for only $699. This is an excellent price on a wonderful, portable sewing machine. 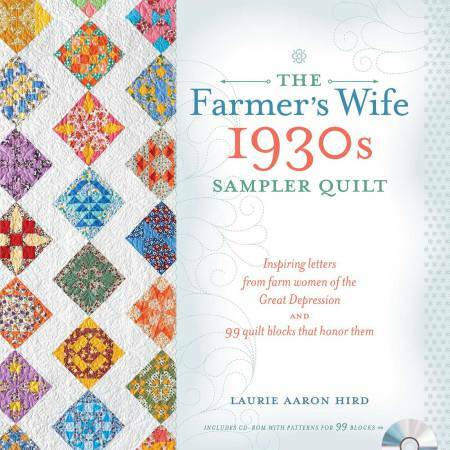 Thinking about a holiday gift for someone special? Buy a 215 NOW and and save. We'll keep it hidden here at the shop for you until December. Need more incentive to shop? For the first time since we've been an authorized BERNINA dealer we're able to offer 0% financing on purchases of only $500 or more. Get more information on financing here. Remember, both of these offers are available from September 10-14 only. That's this coming Thursday through next Monday. Don't miss out! We've been shopping for books. Stop by to see these and other recent arrivals. 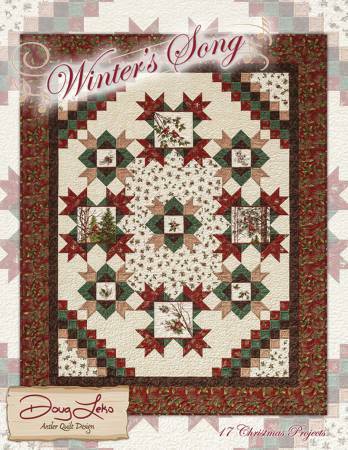 Beautiful winter/holiday quilts and table runners in this book. 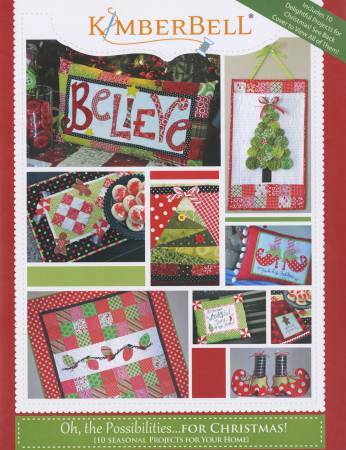 Great variety of Christmas projects. 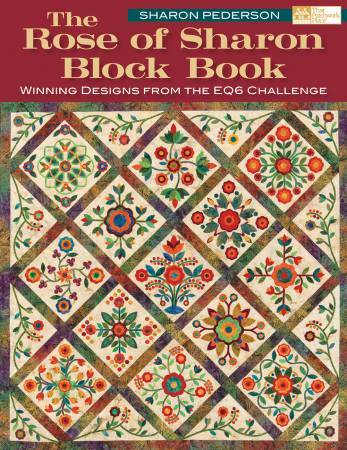 Number one selling quilt book in the country right now. Check out the full class schedule here. 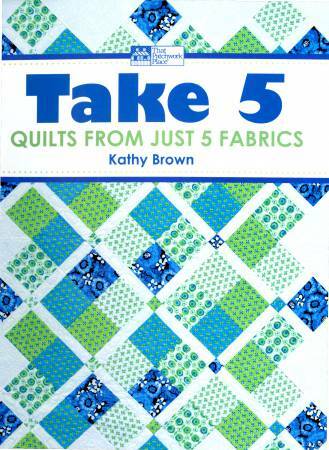 THREE SPACES LEFT IN THIS CLASS! 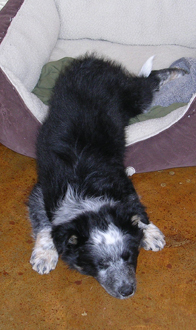 In honor of Labor Day The Tip is taking a day off to rest and renew. The Tip will be back next week.